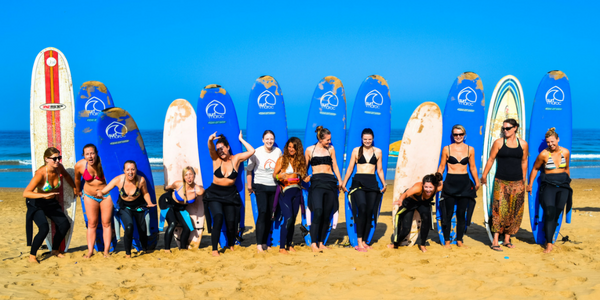 We love heading to Morocco for our Surfing and Yoga holidays, and with another holiday rapidly approaching, we wanted to share our favourite things about Morocco with you! There are so many reasons to visit this amazing and quirky country, but we’ve squeezed it to our top 9. 1. 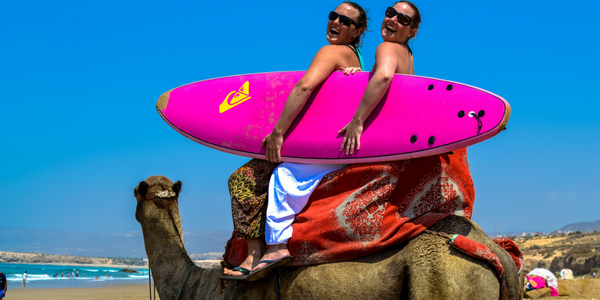 The amazing surfing – a must do in Morocco! It’s number one on the list for a reason – it’s why we host our surfing holiday in Morocco! There are plenty of beaches that suit different surfing abilities, whether you’re new to catching waves or a seasoned pro. 2. To see the stunning Atlas Mountains. The Atlas Mountains span across northwestern Africa, with two of the mountain peaks (High Atlas and Toubkal) near Marrakech. 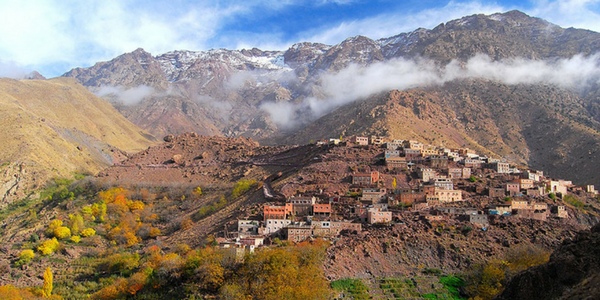 Toubkal is the highest mountain in Morocco and Northern Africa, making it quite the sight to behold. 3. To explore the local area of Taghazhout – a renowned surfing mecca. We adore this area, which is mostly known for its amazing surf beaches along the atlantic coast. There are also some great cafes and restaurants to try out – our favourite is Banana Point cafe! 4. Picturesque horseback or camel rides on the long sandy beaches. It wouldn’t be Morocco without camels! Camels are found on almost every beach – we can even get them to pick you up from the front door on our holidays! Horse riding is an option here too – if you’re a confident rider you can take a gallop across the long sandy stretches. 5. 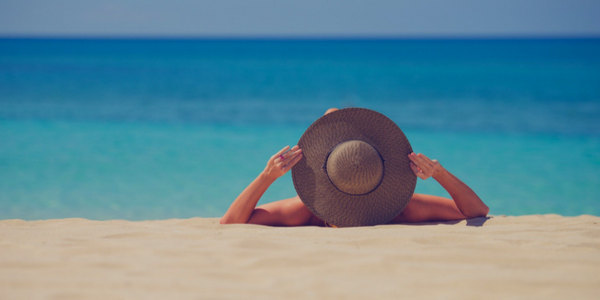 Soak up the warm sunshine for some Vitamin D! When we head to Morocco (usually in September), the temperature is an irresistible 26°C. If that’s too warm, you can just jump in the pool or take a dip in the sea. We think it’s just right, especially for surfing. 6. To explore the bustling city of Marrakech. 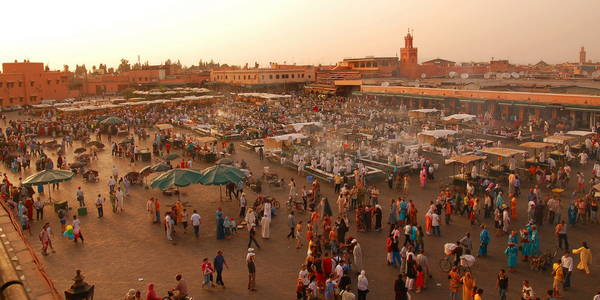 Marrakech is one of the largest cities in Morocco, and is a former imperial city. It’s home to plenty of mosques, palaces and gardens, as well as being a haven of souks to do some shopping. 7. To experience a calm and meditative yoga practice on the peaceful beaches. 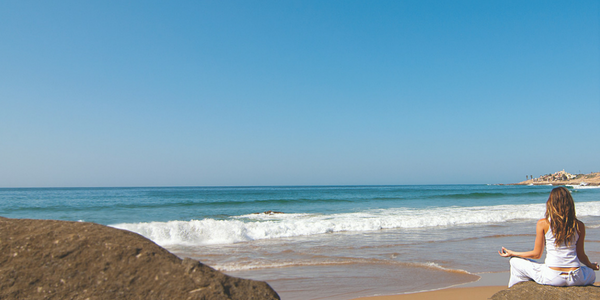 We love the beaches in Morocco, and we think they’re a great place to contemplate, meditate and practice yoga. 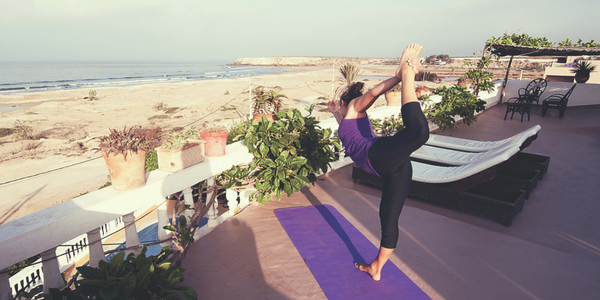 On our holidays, the yoga space looks out to the horizon – pure bliss. 8. For fun day trips to Essaouira and Taroudant. 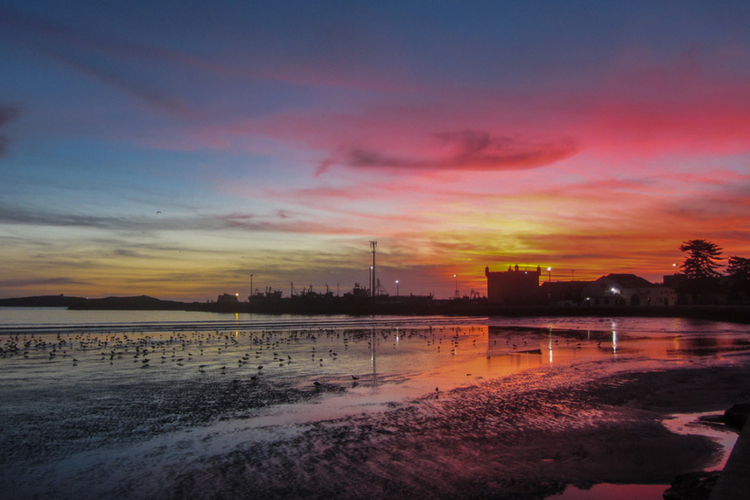 Essaouira is great for shopping with a chilled vibe. The fresh fish at the port is a great idea for lunch and the beach is excellent for windsurfing and kitesurfing. You can easily spend the day there just soaking up the atmosphere. Taroudant is a classic Moroccan walled town with 2 souks selling lots of rugs, jewellery and artisanal products. 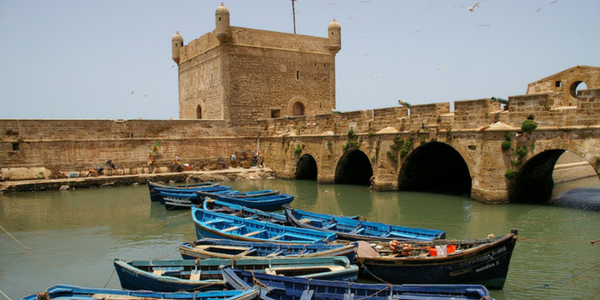 Fun Fact: Essaouira is also one of the filming locations for the massively popular Game of Thrones series! 9. To visit one of Morocco’s famous Hammam spas. A Hammam is a steam room, similar to a Turkish bath, where Moroccans will go once a week to cleanse themselves. 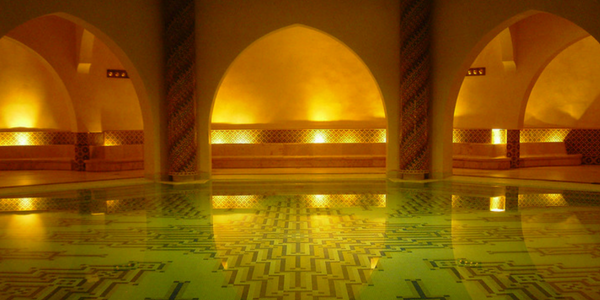 As expected, there are plenty of spas to choose from in Morocco, with more than 20 Hammam spas in Marrakech alone! The steam bath experiences are accompanied by a relaxing massage. There are many more reasons to visit Morocco; we could be listing them forever. Join us in this amazing country on one of our surfing holidays. Click the link below to find out more.